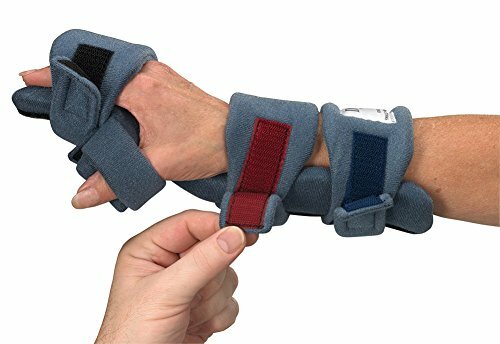 DynaPro Orthotics - Finger Flex Splints, Left, Adult Large, Total Length 8" - 9.5", MCPWidth 3.5" - 4"
DynaPro Finger Flex Orthosis Flexible wrist, MCP and PIP joints including flexible finger platform designed for treatment of spasticity. “Flex" properties will give during involuntary muscle contractions to help inhibit tone. Sizing: Measure width of MP joint and distance from wrist to tip of middle finger. Large Width of MP Joints 3-1/2" to 4" Wrist to Finger Tip Length 8" to 9-1/2"